Strong bones are the foundation of good health! 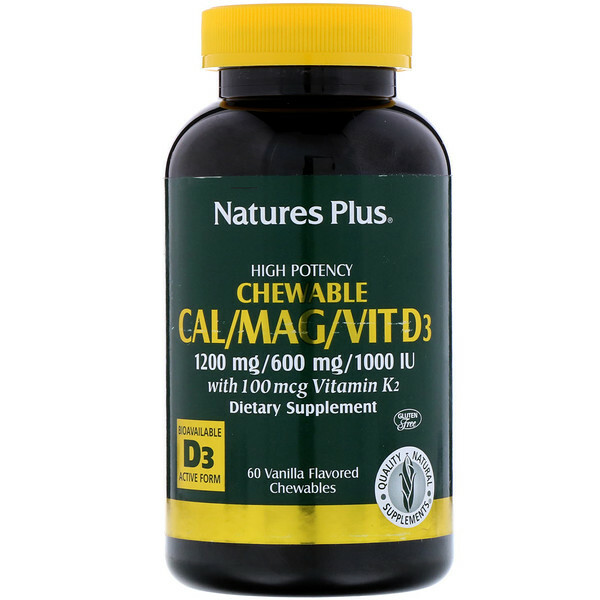 High potency Nature's Plus Cal/Mag/Vit D3 with Vitamin K2 Chewable is an advanced formulation, delivering calcium's nutritional support for bone health, well-being and overall vitality in a delicious, easily absorbed chewable! 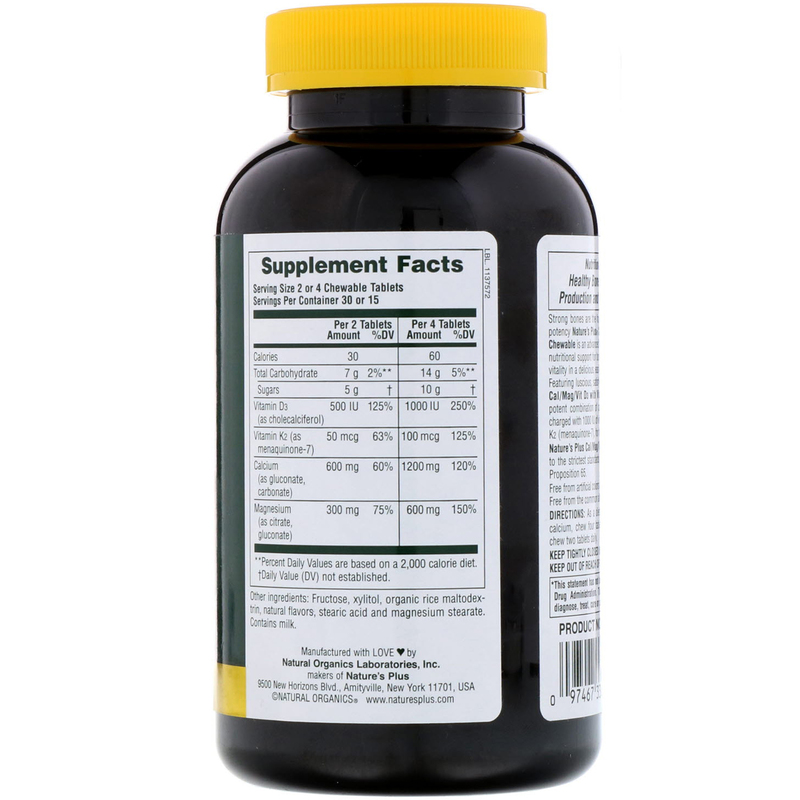 Featuring luscious, satisfying vanilla flavor, Nature's Plus Cal/Mag/Vit D3 with Vitamin K2 Chewable provides a potent combination of calcium and magnesium, supercharged with 1000 IU of vitamin D3 and 100 mcg of vitamin K2 (menaquinone-7), for the ultimate in bone support. Nature's Plus Cal/Mag/Vit D3 with Vitamin K2 conforms to the strictest standards for purity, including California's Proposition 65. Fructose xylitol, organic rice maltodextrin, natural flavors, stearic acid and magnesium stearate. Free from the common allergens yeast, wheat and soy.